Researchers in the Department of Earth Sciences have shown that high-latitude bivalves live longer and grow slower than those in the tropics. Their findings are the subject of an article in the “Proceedings of the Royal Society B” (The Royal Society, 2016). David Moss, a Ph.D. student in the Earth sciences department, located in the College of Arts and Sciences, is the article’s lead author. 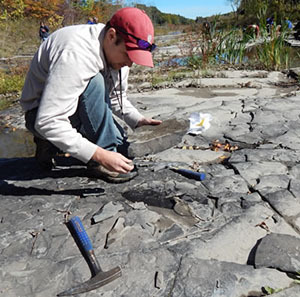 After months of work by Moss and other members of the Earth sciences department, two patterns have emerged. The first reveals that, as a bivalve’s lifespan increases, its growth rate decreases. The second shows that long life and slow growth are common among animals near the North and South poles, whereas tropical bivalves, close to the equator, are fast-growing and short-lived. “As the poles are thought to harbor ecosystems like those from millions of years ago, our data suggest that more ancient animals were slow-growing,” Moss says. 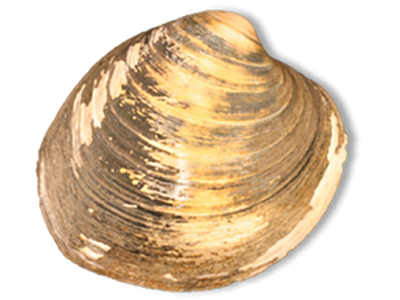 Among the bivalve mollusks the group has studied is the “Artica islandica,” found off the coast of Iceland. The world’s oldest animal, it is capable of living for more than 500 years. 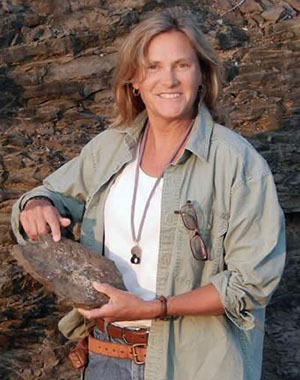 Professor Linda Ivany ’88, in whose lab Moss is based, says bivalves are just as abundant in the fossil record as they are in today’s oceans. As a result, she and her students can easily recover bivalve lifespans and growth rates by studying the bands in their fossilized shells, a process analogous to tree-ring dating. Ivany says this kind of work has implications for the study of the evolutionary history of life on Earth, and may help explain why the metabolism of cold-blooded animals has changed over time. Based on his group’s observations, Moss argues that the increase in body size of marine bivalves throughout the Phanerozoic, the current geologic eon stretching back more than 540 million years, should be accompanied by a shift to faster growth and a shorter lifespan. Moss also hopes to pinpoint why biodiversity is high in the tropics and low near the poles. In addition to Moss and Ivany, the article is co-authored by Emily Judd, also a Ph.D. student in Earth sciences; Patrick Cummings ’17, Claire Bearden ’16, and Woo-Jun Kim ’15, all undergraduates at the time of the project; and Emily Artruc and Jeremy Driscoll, 2016 graduates of the SUNY College of Environmental Science and Forestry. All of the A&S participants have belonged to Ivany’s lab.